This week sees the Two Blondes getting ready for a very special kind of expedition. This one is no exception in that it is on Dartmoor and has been several months in the planning. However, this one is different because it doesn’t involve anyone (not even students) except us. In a few days time we will begin one of 3 expeditions which are being done to raise money for the Duke of Edinburgh’s Award. 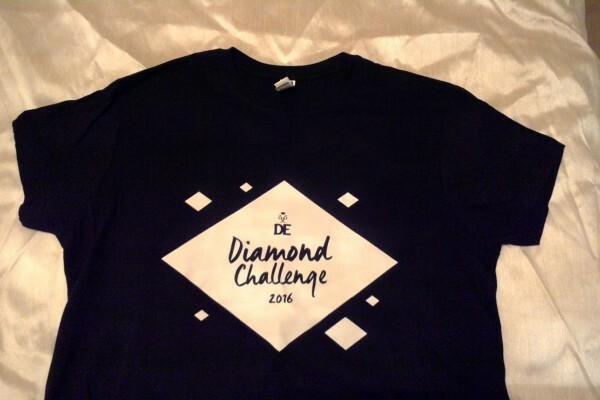 Our Diamond Challenge is to do our own Bronze, Silver and Gold ‘style’ expeditions, instead of arranging them for our youngsters. Our youngsters have to fulfil 20 conditions in order to complete the expedition section of their Award. Our expedition will deviate from quite a few of these! For instance we are over the age limit of 25 and there will not be between 4 and 7 members in our team. We are guessing that the Duke won’t mind making a few exceptions on this occasion. This Easter, both of us have been away from home on other trips before this one: B2 has been visiting the B2 children up-north and I have been first in Edinburgh then in Barcelona. Normally before an expedition we like to have a final planning meeting but this time the meeting will be a series of texts and emails. It remains to be seen if I remember boots instead of Flip-Flops and if B2 remembers a tent instead of a hammock! The Duke of Edinburgh’s Award has been successfully helping to give youngsters life skills and adventures to make their future brighter for 60 years now. If you feel you could sponsor us on our expedition we would be very grateful.